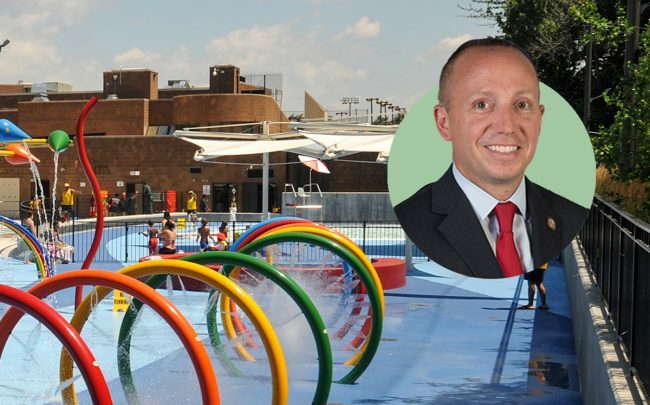 The change, enacted last year by New York’s Department of Environmental Conservation, stemmed from illegal dumping at Roberto Clemente Park in Brentwood, Newsday reported. Since last year, most New York City debris — such as the 40,000 tons of contaminated material dumped at Clemente — now requires more detailed tracked from the facilities that process it and the trucks that transport it. More than 7.3 million tons of construction and demolition debris are generated annually in the city, according to DEC estimates. About 635,000 tons, or 9 percent, is dumped illegally — with much of that heading to Long Island. After the Clemente scheme was uncovered in 2014, the DEC launched several illegal dumping enforcement operations, including one from 2017 to 2018. It required the participation of a third of the department’s 288-member police force and resulted in more than 500 tickets issued to 40 trucking companies, the report said. Many of them were on Long Island. Meanwhile, a sting called “Operation Pay Dirt” led to arrests last summer and subsequent charges filed by the Suffolk County district attorney’s office. An indictment in November included 130 counts on nearly 40 defendants. A few had connections to firms or individuals facing civil lawsuits in the Clemente case, according to Newsday. The “Pay Dirt” scheme, authorities alleged, involved a “dirt broker” who posted classified ads to lure customers who needed “clean” dirt fill for their properties. Those customers instead received construction waste, some of which contained lead and diesel fuel.